There wasn't that much mention of his pride here, but Vegeta craved more power and complained that he wouldn't get stronger if he kept staying on Planet Vegeta. Vegeta really didn't care much about the destruction of his home planet either. Vegeta was extremely ruthless and full of pride here. He was so ruthless that he killed a Saibaman for losing to Tenshinhan and killed his own partner Nappa for losing to Goku. Before he fought Goku he told him that he was a Saiyan elite and that a castoff low class Saiyan like Goku cannot compare to the power of an elite. The American version has Vegeta asking Goku to join him, but he never even said that in the original japanese version. I really think they should have had Vegeta mention more of his eliteness to show how much pride he had. After his recovery, Vegeta was certain that he could defeat Zarbon and Dodoria, but not Freeza. Vegeta's pride took a huge blow when he realized he wasn't really a Super Saiyan and died at the hands of Freeza. When he was revived with the Dragonballs, Vegeta was prideful once again and believed that he was the strongest in the universe. Note that in the American version, they made Vegeta cry because his home planet and people were destroyed by Freeza. In the japanese version, he was crying because his pride was destroyed by Freeza. With Goku's one day to be on the earth, Vegeta wanted to become the evil person he once was so he wouldn't care about anything and the only thing he wanted to do was defeat Goku once and for all. Realizing there was no way to defeat Majin Buu, Vegeta told Trunks he was sorry for not giving him the attention he deserved and gave him a hug. This was the first time Vegeta fought for anyone else besides satisfying his own pride, so he self destructed, hoping to take Majin Buu with him and said goodbye to his family, Bulma and Trunks, and his rival, Goku. During the fight with Majin Buu after he absorbed Gotenks, Piccolo, and Gohan, Vegeta was brought back to life to help Goku fight for the fate of the Universe. Vegeta was pissed that Goku didn't fight him as SSJ3 and refused to fuse with Goku. 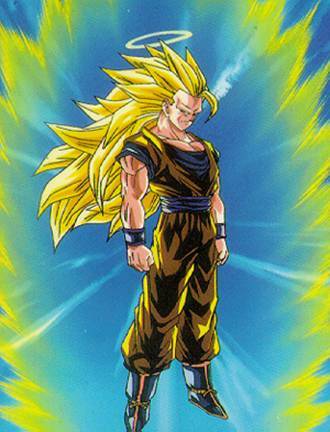 Vegeta and Goku were no match for Majin Buu, so as much as it hurt his pride, Vegeta went with the fusion with Goku to become Vegetto. After being defused and during the fight on Kaioshin-kai, Vegeta realized that Goku became so strong because he was fighting to protect the people around him. Realizing that he had his own family to protect, Vegeta let go of his pride and decided to fight for the same cause, and said... "Kakaroth, you're number 1!"